A room without a rug is like a dog without a bone, peanut butter without jelly, a queen without her crown. The right rug can anchor a room, tie it together, and make it feel layered and whole. And while there are plenty of great rug options out there, a quality vintage bohemian rug can really work wonders in your space. 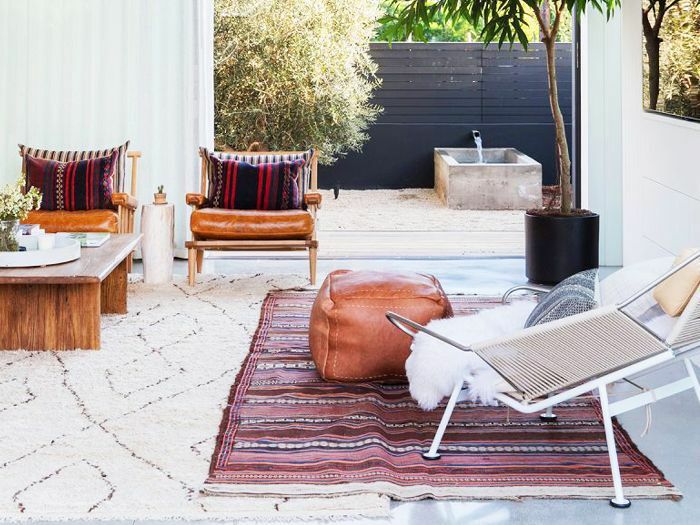 Whether you want to soften and lighten a room with a Moroccan Beni Ourain rug or give your space a muted hardwearing base with a Turkish Oushak rug, bohemian rugs have the imperfect nature that will not only make your room feel lived-in and authentic, it will also easily hide imperfections—making it the perfect pet and kid-friendly solution. Whether you're looking for a simple budget option or you're searching for an investment antique rug, there are vintage rugs for every room size and every budget. Ahead, we handpicked some of our favorite bohemian rugs on the market that will make you feel like you're a million miles away from home. 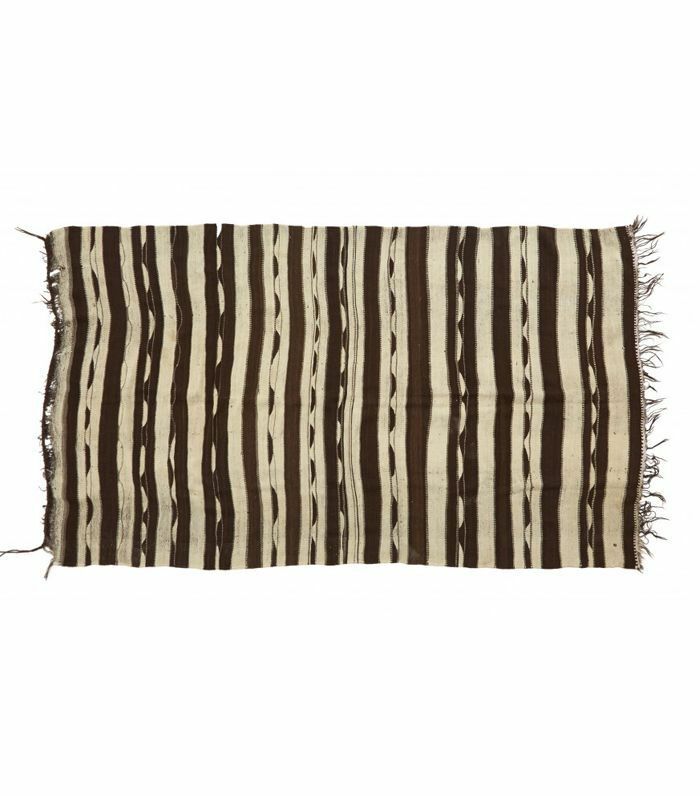 This small Beni Ourain rug originates from the mountains of Morocco but would make an ideal bedside mat. 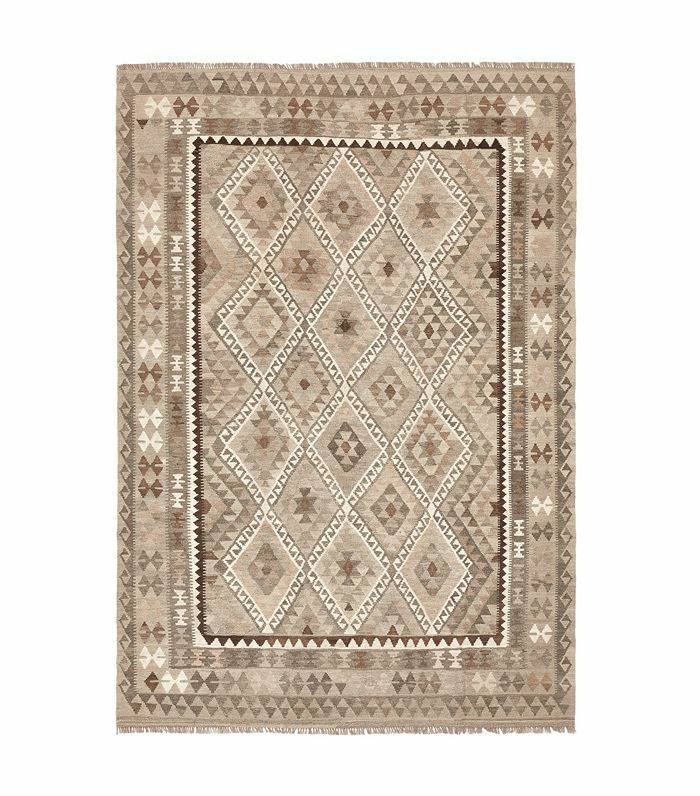 You won't find a better bohemian rug than this IKEA Indian rug for $199. 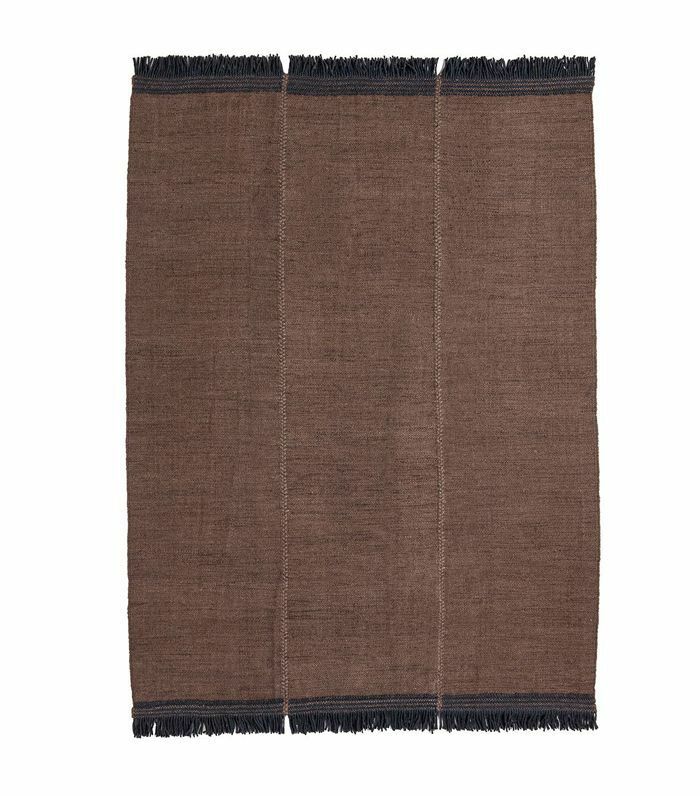 This Belgian flax Sahara rug from West Elm will warm up a light-filled room to give it a layered sophisticated flair. 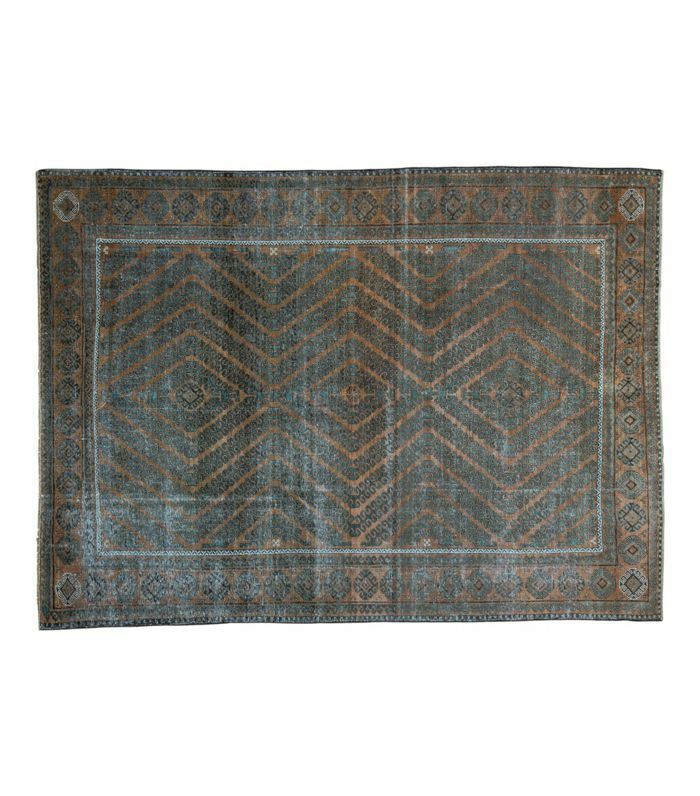 This dark-hued rug is typical of nomadic people in Afghanistan and Pakistan but would be a wonderful addition to any moody modern space. 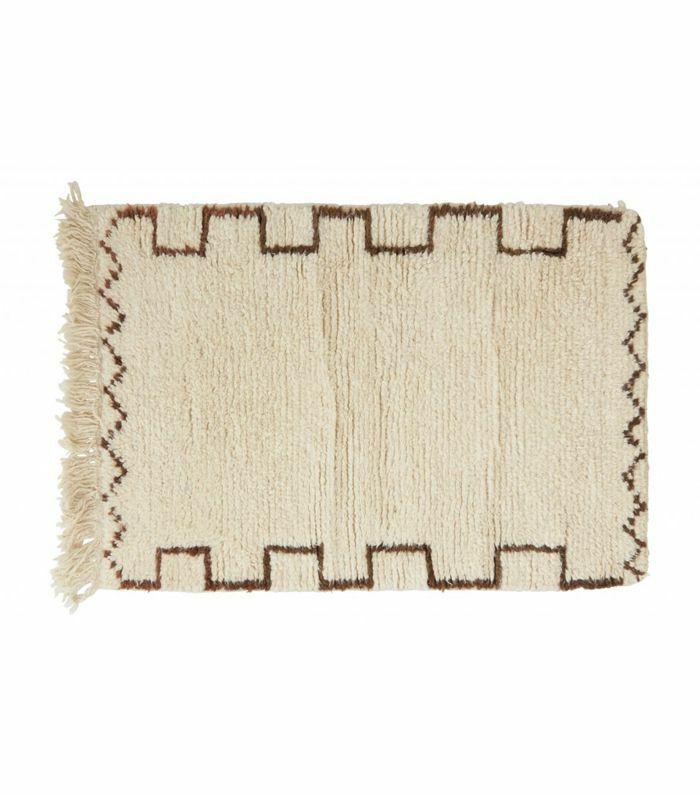 The ideal rug for a neutral room, this vintage Kilim number is affordable and chic. 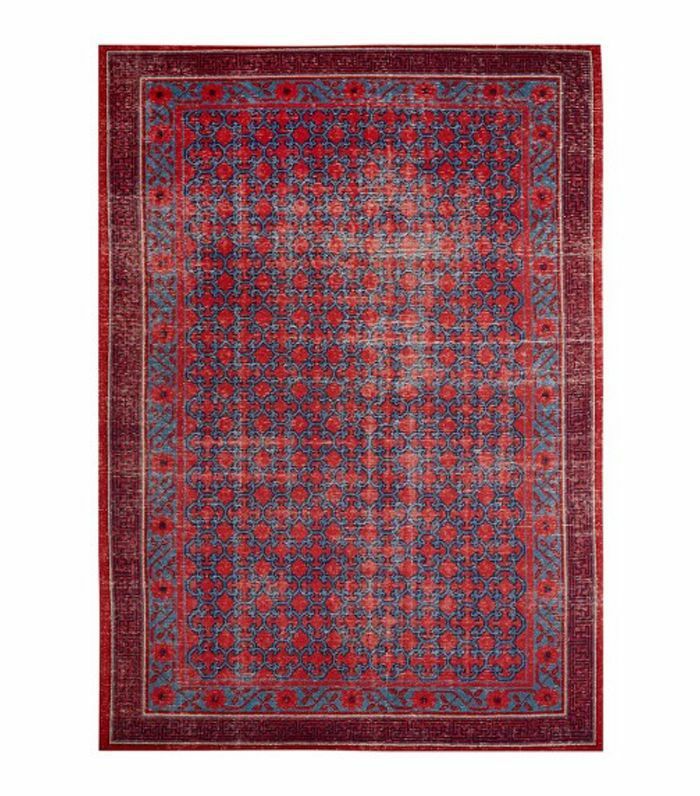 This bright beautiful red-and-blue rug will add a vibrant air to any space. 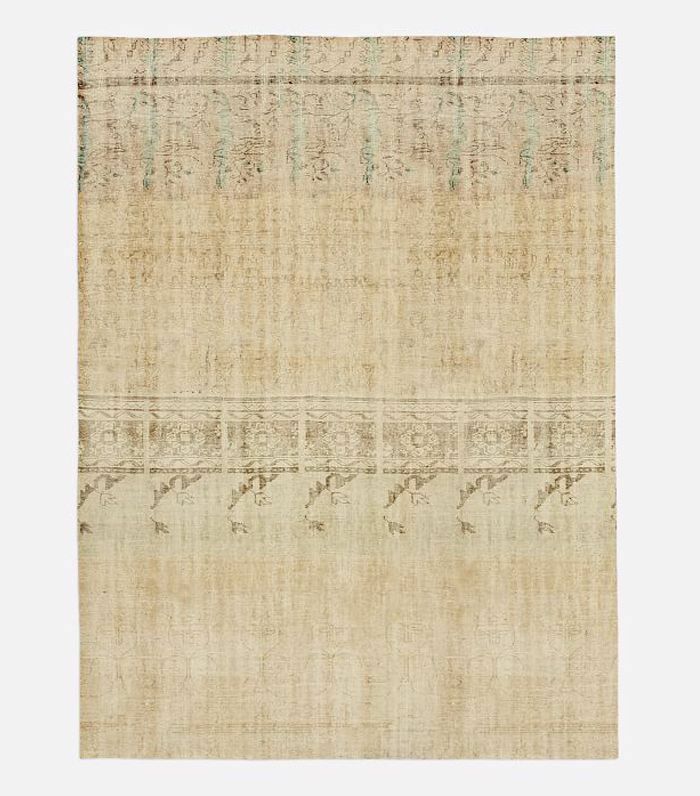 This Indian dhurrie has the perfect combination of modern and sophistication and will tie any space together. 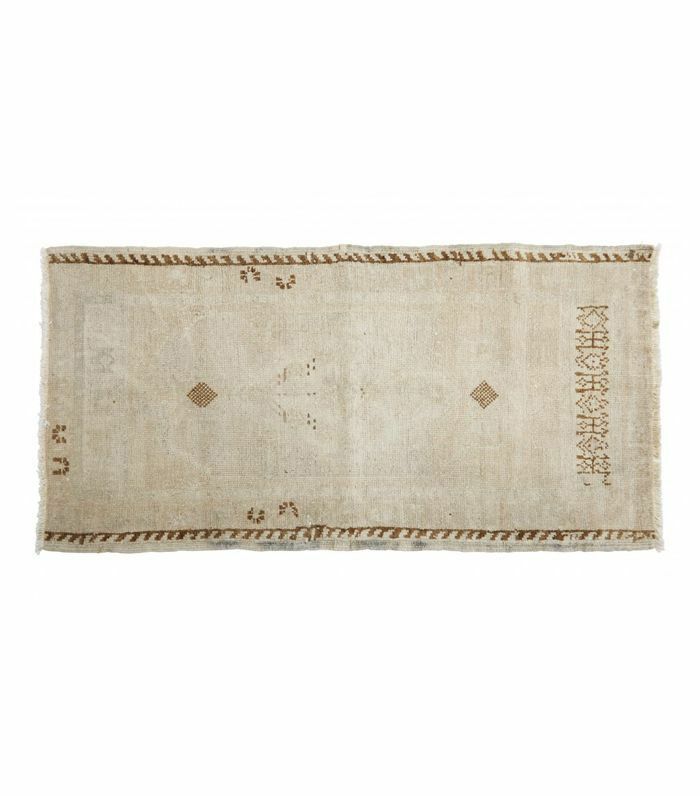 Vintage Oushak rugs are all the rage right now, and this small one would look great in a tiny kitchen or at the foot of a bed. 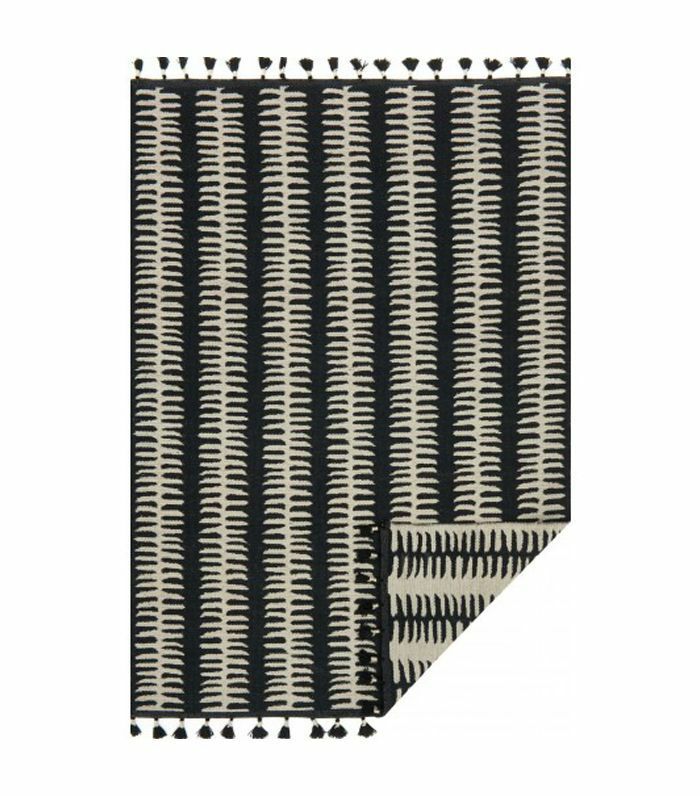 This black-and-white geometric rug is part of Justina Blakeney's bohemian rug collection for Lulu & Georgia. 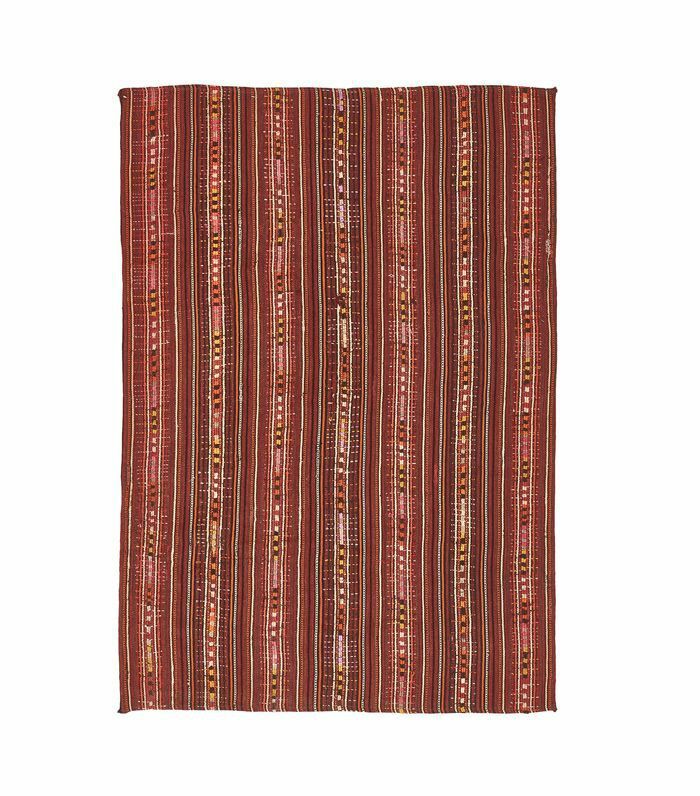 Kilim rugs are among the most affordable vintage bohemian rugs. 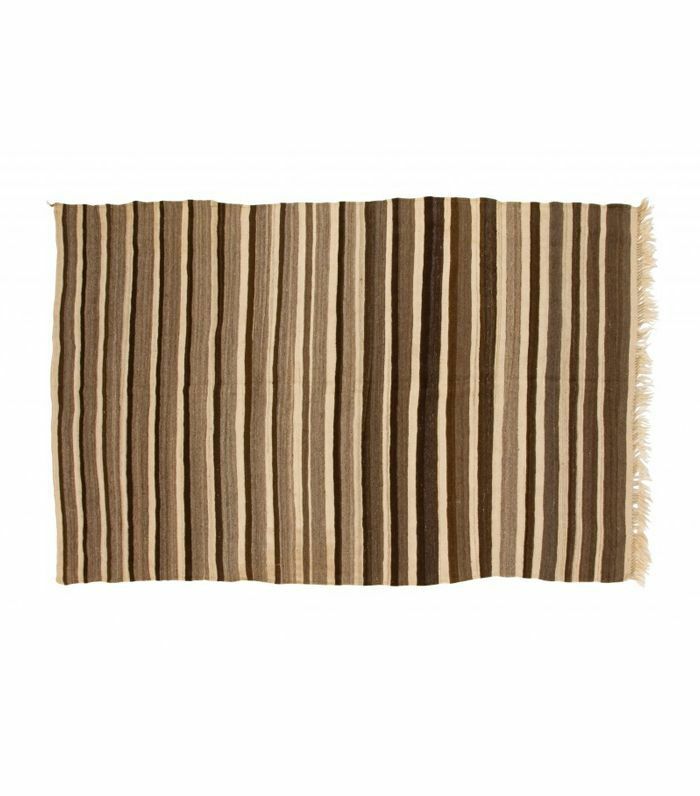 Originating from Turkey, they usually have a flat weave and a neutral patterned look. 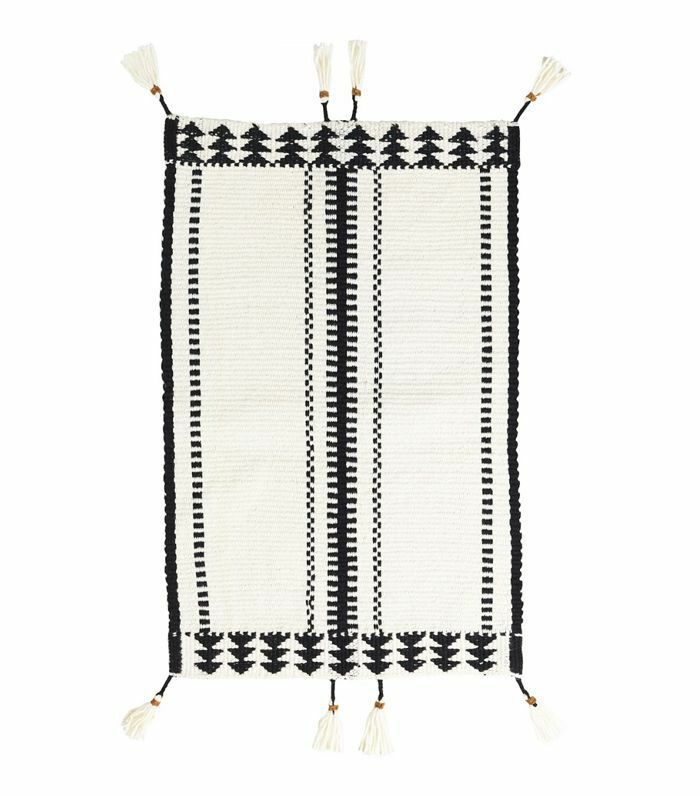 Give your space a light layered feel with this tasseled black-and-white bohemian rug from IKEA. 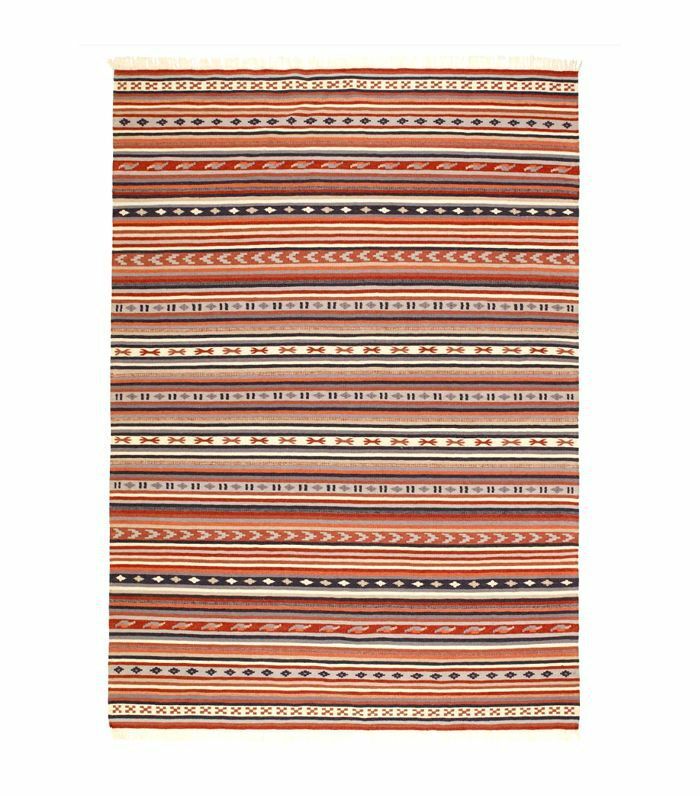 Handwoven in Turkey, this vintage Cicim kilim consists of vibrant multicolored stripes, forming a bold geometric composition. 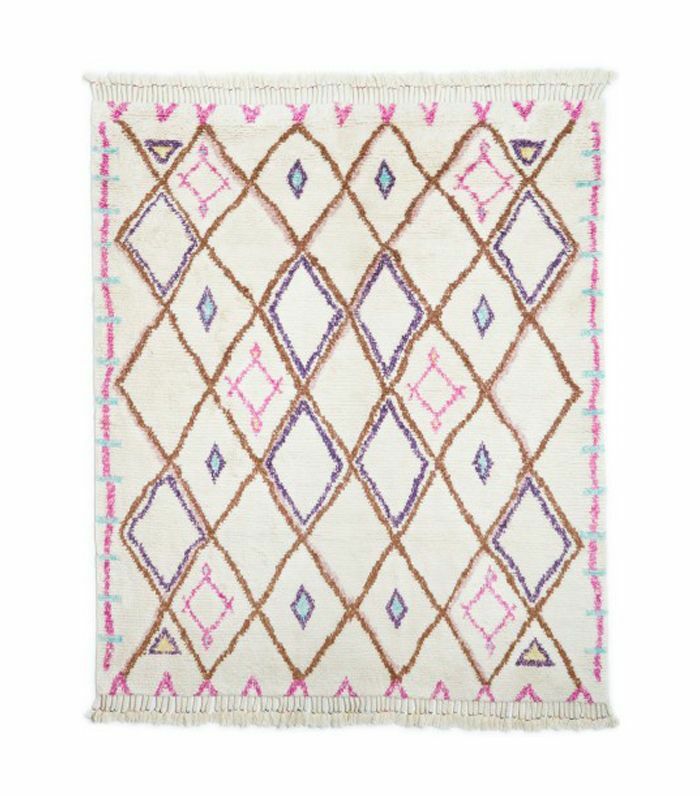 This Boucherouite Moroccan rug will bring color and brightness to any space. Ideal for a tonal neutral room, this vintage Moroccan room has a beautiful striped pattern that feels layered and organic. Next up: Yes, affordable vintage rugs do exist (if you know where to look).